When I first heard of this idea of playing between Pier 30-32, I thought it was silly. I am not a scientist, but I was pretty convinced that the arena would sink. The location is bad. Now we have news that they are scrapping the idea. They are moving their plans that aren’t directly at the water. It’s still close, but at least the fear of it sinking won’t cross my mind. But of course, I would prefer that they stay where they are. 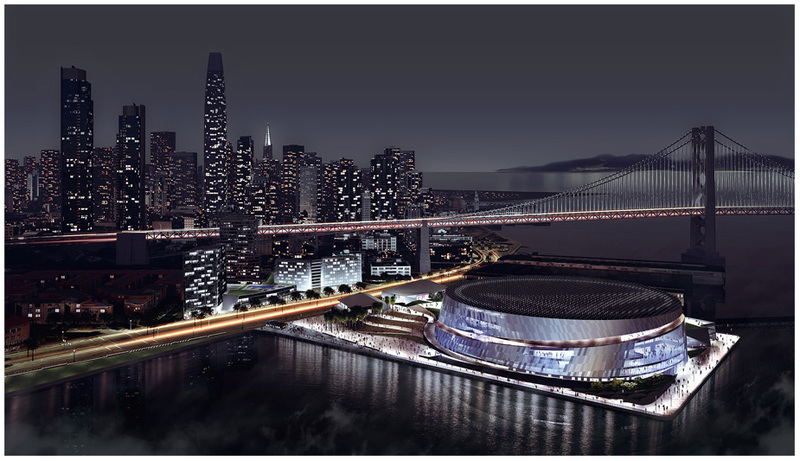 There is a major inconvenience that will come if they play in San Francisco. The travel and public transportation would be a nightmare. Plus, the prices of tickets will surely price out fans like me. Good thing – I found this: ifonly.com/San-Francisco-Bay-Area/location for my spare time. Just have them stay in Oakland, please. This entry was posted in Golden State Warriors, NBA and tagged Moving to San Francisco. Bookmark the permalink. I was reading an article about this not happening, that included an interview with Warrior’s owner Lacob. In the interview he said, “… but at the end of the day…” at least twenty times. Then I thought to myself that http://www.butattheendoftheday.com would be a good website name, looked it up, and here I am – and the first post is about the same thing from the original article I was reading. trippy….